Patrick Moore, Cheryl Sourdif-Beaudry, Brian Michael Walsh, Dawn Vierra and Kimberly G. Galbraith. 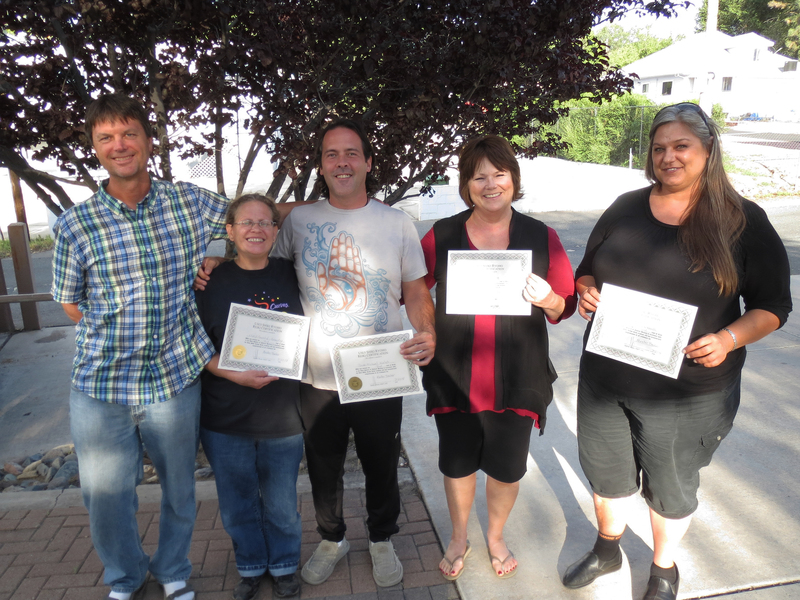 New certified Reiki Master Teachers from the recent class I taught on July 26-27, 2014 in Prescott, Arizona with Patrick Moore on the left. Cheryl Sourdif-Beaudry, Brian Michael Walsh, Dawn Vierra and Kimberly G. Galbraith. Congratulations!! !